A few nights ago whilst nodding on the sofa, I was abruptly awoken by the BBC documentary Sgt Pepper’s Musical Revolution. I should say here that I have no musical talent whatsoever, and it was not the musical analysis that enthused me, interesting as this was. What captivated me were the questions that began bubbling up in my own mind about whether a group of four naturally musically talented and artistically creative young men would be prepared by England’s contemporary developmental and educational environment to put together a modern masterpiece to rival Sgt Pepper’s Lonely Hearts Club Band. 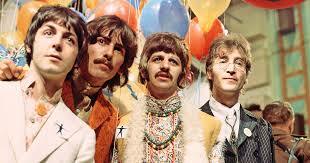 I became fascinated by the documentary’s explanation of how, having become increasingly frustrated by the limitations of live performance, the four state-educated lads who comprised The Beatles decided to take their creativity and innovation into a recording studio located a few miles to the north of the progressive primary school where I was engaged in developing my own imagination at that time. A twenty five year old Paul McCartney reflectively explained to an interviewer on the steps of the Abbey Road studio that the group had an enduring ambition to continually improve their music, which they would not be able to realise if they could not hear or be heard over the screaming of an audience. The Beatles had not had any extensive formal musical training up to this point, nor were they seeking any, and they most certainly had not formulated a set of the SMART targets that seem indispensible to twenty first century state education practice. Instead, the way that they went about producing the songs for the album that became Sgt Pepper’s Lonely Hearts Club Band was simply to mess around for many hours in the studio with equally talented music producer George Martin and his team. Some of this time was spent in painstakingly creating new techniques through trial and error to perfect sound effects that appeared in the mind’s ear of one or other of the musicians and technicians, which were then further crafted through collaborative experimentation. The presenter of Sgt Pepper’s Musical Revolution is a classically trained musician, and he very clearly outlines the vast range of highly complex musical arrangements that Lennon and McCartney created by drawing upon the musical styles that had surrounded them since childhood, eclectically mixing classical, music hall and medieval formations with jazz, blues and rock ‘n’ roll. 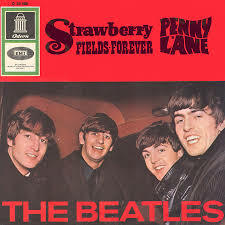 All of the songs on Pepper, and two others from the same set of sessions that were released as a double-sided single (Strawberry Fields and Penny Lane) have since received wide critical recognition for the vast range of innovative techniques used in their composition and production. I was also intrigued to discover that many of the ideas for Pepper’s lyrics were drawn from endless hours of independent outdoor play that Lennon and McCartney recalled from their childhoods; for example Strawberry Fields. 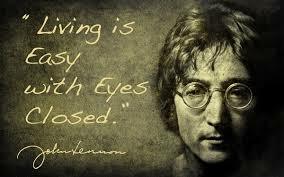 This then led to the development of a technique to subtly tweak their voices to sound younger and lighter, prominently used on Lucy in the Sky with Diamonds, famously based upon a picture drawn by a contemporary child of the time, Lennon’s son Julian. In creating the lyrics for the song, Lennon and McCartney bounced ideas between themselves drawn from a book they had both read in primary school and very much enjoyed- Alice in Wonderland/ Through the Looking Glass. And so a range of questions began to swirl around in the ‘teacher zone’ of my mind. Would what we do with children in school today prepare them to produce, with no formal musical tuition at the relevant level, a creation of such dazzling originality? Does our current culture of childhood and education encourage young people to develop the self-belief and independence that took the fledgling Beatles through the Hamburg and Cavern days, and on to build their own towering artistic achievements upon this foundation? Or would fourteen years of being drilled by OFSTED-harassed teachers ‘delivering’ material rooted within highly focused SMART targets have been counter-productive? Indeed, would the relentless focus on literacy and numeracy in the Early Years Foundation Stage have given Julian the opportunity not just to draw his friend Lucy, but to embellish his picture by placing her in the sky and adding diamonds, or would it have been clearing up time and phonics practice before he had time to get all the way through such a creation? Would a twenty first century John Lennon have had the time in childhood to engage in the depth of free play that is required to later contemplate that in ‘Strawberry Fields… nothing is real [and therefore] nothing to get hung about’, or would he be too busy putting selfies on Instagram and getting ‘hung about’ the number of resulting ‘likes’? And would a contemporary Lennon and McCartney have had the luxury of time in primary school to read the Alice books as a story, visualising the Cheshire Cat’s enigmatic smile in their minds’ eyes and contemplating how Humpty Dumpty might make a word “mean just what I choose it to mean- neither more nor less”, an idea they took forward with them into creating lyrics for their songs, in turn introducing an even younger generation to this concept? I vividly remember as a primary school child being fascinated with the Come Together construct that someone who ‘shoot Coca-Cola… got to be good looking ‘cos he so hard to see’, which was no doubt part of the foundation upon which my later fascination with narrative was built. Would a contemporary embryonic Lennon and McCartney instead be presented with an extract from the Alice books in which their core task was to identify the fronted adverbials in the text? And, as they grew into teenagers, how much time would they have to endlessly play around with their music, removed from the direct adult gaze? Would conscientious Aunt Mimi have felt compelled by the prevailing culture to ‘enhance’ John’s UCAS application by sending him to be formally coached in music, and if so, how long would it have been before he told the teacher to f-off, and never touched a musical instrument again? I have no definitive answer to any of these questions. Like Lennon and McCartney however, I frequently contemplate that ‘living is easy with eyes closed, misunderstanding all you see’ and moreover, experience deep concern that we may have somehow managed to build a whole education system upon such a flawed foundation. 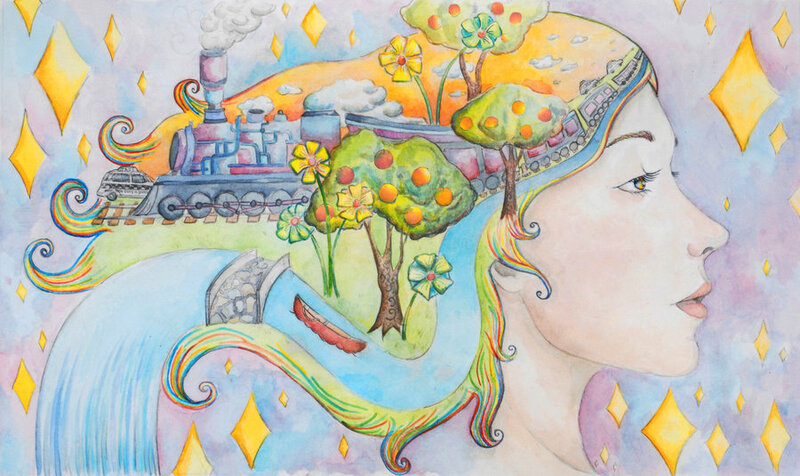 This entry was posted in Curriculum and tagged accountability pressures, creativity, Curriculum, National Curriculum. Bookmark the permalink.